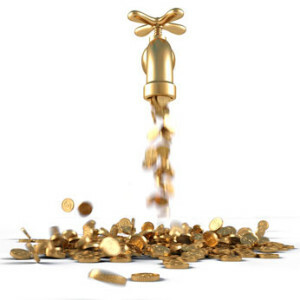 As a small business owner you’re undoubtedly aware that cash flow is everything. Not only is cash flow important for your day to day operations, but the Small Business Administration reminds business owners that cash flow is also of vital importance when attempting to acquire a small business loan. Improving cash flow is important for small businesses in all industries, but it’s more important for businesses that require cash to operate, such as the food service industry and many retail locations. Without a current cash flow analysis, you’ll never have a good picture of the profitability of your company and you won’t know whether or not your cash flow is actually improving. If you’re interested in improving your cash flow, you may want to invest in an accounting suite such as Intuit bookkeeping software. An accounting suite, when used properly, will be able to generate financial statements on the fly to show you whether your strategies are working. Once you’ve invested in accounting software you can create an accounting structure, as described by American Express Open Forum. Many small business owners struggle with collections. Getting paid should be your first priority when you’re attempting to improve your cash flow. Once you have your accounting system setup properly, you can go over the accounts that are seriously delinquent and create protocols for dealing with collections. Inc.com suggests that you maintain open communication with all of your delinquent customers, even those that are only 30 days late. Maintaining open communication is a good way to identify any unhappy customers and iron out any disputes that could be delaying payments. Many businesses, especially new upstarts, suffer by maintaining too large of an inventory. Reducing your inventory is a fantastic way to improve cash flow and create a leaner business. As noted by Microsoft Small Business, even small inventory changes such as cutting back on the stock of a particular item can yield positive results for a company. You should avoid the urge to purchase more inventory than you can move, especially when first starting your business. The days of relying on cash and check are over. If you find that you continuously have issues with payments, you may want to broaden your payment options. Denise O’Berry encourages business owners to offer as many payment options as possible. Whether your company specializes in business-to-business sales or direct-to-consumer sales, the ability to pay via debit or credit card may be the difference between whether you get paid today or tomorrow. Alternative payment methods such as PayPal are also becoming incredibly popular throughout many industries, and physical payment portals such as mobile card swiping devices can further encourage customers to pay when they can. Developing your cash flow analysis is only one part of the financial puzzle. Once you have established procedures for accurate cash flow, you can begin building a solid financial system. You should create protocols for the collections of past due accounts, ensure that vendors are paid on time and analyze your cash flow to determine any areas which your company can improve.